Standard features include a nose cup and wide field of vision. 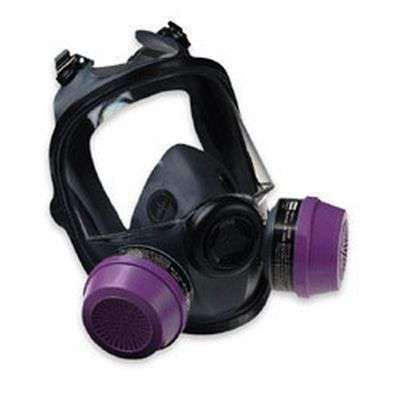 The 5400 easily converts to PAPR or Supplied Air respirator. Dual cartridge elastomeric full facepiece with four strap headband. Lens offers 200 degree field of vision. Nose cup standard. Reduces fogging and increases worker comfort.